We have Agent 47 (or, rather, whoever named him) to thank for this EGX presentation of Hitman's Show Stopper mission. If he'd been Agent 3 or 5 or 8, the above video wouldn't be very long at all. As it is, IO's demo is an appropriate 47 minutes long, showing a "unique and alternate" playthrough of the mission that's already been showcased, albeit in less detail. 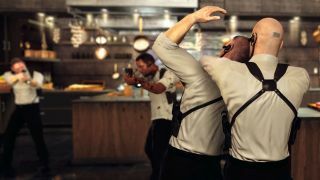 Hitman, by the way, has been delayed to March next year, which is good news for those of us with tons of games to finish (giving IO more development time is hardly going to hurt either).